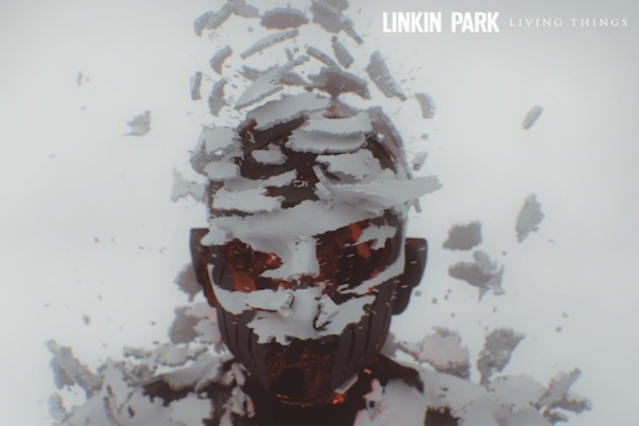 On June 26, Linkin Park will release their fifth album, Living Things, via Warner Bros. and Machine Shop Recordings. The Southern California band told SPIN they decided to work with producer Rick Rubin after he agreed their new record should sound unlike anything they’d ever done before. As promised, “Burn It Down” is a gloomy electro-rocker with midtempo dance beats and soaring lead vocals by Chester Bennington. As we wrote last week, the song is “a seared but still high-sheen slab of cross-pollinated pop driven by four-on-the-floor pump and the pulse of guitars and synths irreparably fused together.” Co-producer Mike Shinoda delivers a rapped verse, but he also joins Bennington on the chorus, singing: “We’re building it up to break it back down / We’re building it up to burn it down / We can’t wait to burn it to the ground.” While it’s still anybody’s guess what exactly “it” might be, now the song has a lyric video, which you can watch below. Linkin Park have also revealed they’ll be co-headlining the 2012 Honda Civic Tour with Incubus, and Mutemath will support. Tickets start going on sale the weekend of April 27, but anyone who pre-orders the album through Linkin Park’s website can start buying tickets three days earlier. Pre-orders also come with an instant download of “Burn It Down” and a monthly subscription to get eight new Living Things remixes.